If you’ve got the basics down when it comes to live casinos and you’re interested to know a bit more then here we’re here to give you even more information when it comes to live casinos from their history, to their setup, all the way to the many advantages they come with. The history of live casinos is always something that interests us as live casinos are seen as quite a modern phenomena. There is some truth to that as it’s only in recent times that the technology has really been there to let the medium flourish however the bigger picture is that live casinos have been around for a very long time. So long in fact that there will actually be players playing in live casino games today who weren’t even born when the first one was launched! It may be hard to believe but the first live casino popped up nearly 2 decades ago when dial up was still a thing and AOL reigned supreme! It was the ever popular Microgaming who first showed up offering players a live casino experience although it’s nothing like the one they offer today. Back then you would have had a choice of only one table which of course was a Blackjack table and that was your load. Even so, the lag this stream had would give many players a nightmare and to be honest the technology just wasn’t there to give players the fun time they deserved. Fortunately though, Microgaming and many others persevered and now we all feel the benefits of their hard work today! Live casinos don’t have the same restrictions that land based casinos have and this has let them excel in a whole bunch of areas that land based casinos can’t. The first major difference here is space. If you think about most casinos you’ve been to – they’re all in city centres or very close to them as they need to be in areas where lots of people are if they’re to get enough business. The drawback that comes from this is usually that space can be pretty tight and property prices are usually incredibly high. This means that when it comes to the game selection land based casinos are going to try and get in as many tables as they can and they’re going to fill them with the most popular games too. This can be bad for two reasons. The first is it can make finding a seat at a casino a bit of a hassle – especially during Friday and Saturday nights as there’s only so many seats available. The second reason is that a lot of games are forced to sit on the sidelines as there may not be enough players wanting to play those games and so casino’s can’t afford to leave that game running for only a few players. This isn’t a problem with live casinos though as space and property pricing is not an issue at all! The players who are playing at a live casino aren’t actually going to the casino itself so instead of building the Live Casino in a city centre with high pricing they can afford to build it somewhere a lot more remote with cheaper pricing. This means they’re able to get more space in their casino for extra games and dealers so it’s a win win all round for everyone. Not only will you have a choice of more games than ever before but you won’t need to be fighting with other players to get a seat. And this doesn’t even begin to go into the hassle involved with getting to and from a land based casino! Most people will know that playing from home will save them a lot of time and hassle in the long run and after that last paragraph hopefully you all know that you’ve got a much wider selection of games for you to choose from too. 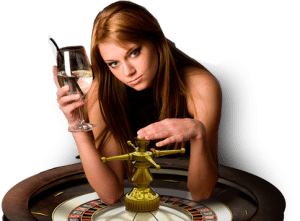 The third advantage we’ve got for you today is the bonuses that live casinos will offer you that nowhere else seems to be able to match. Because every single live casino is in competition with each other this has ramped up the amount of bonuses live casinos are willing to give players in order to convince them their site is the place to play. There’s three main bonuses you’ll get when you first sign up and they’re no deposit bonuses, matching deposit bonuses, and cashback deals. We’d suggest you look out a no deposit bonus in particular when you’re looking for your first site to play at as they give you a free £10 or so to learn the ropes with and have a shot at walking away with a bunch of money in the process. If you want a complete rundown of all these bonuses then feel free to check out the live casino bonuses article we’ve already written which gives a full breakdown of them all. Now we’re at the end hopefully we’ve given you a whole bunch more information about live casinos you didn’t know at the start and you feel even more confident that before in delving into this wonderful world and starting to play in the games for yourself!